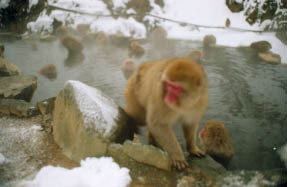 A jigokudani hot spring complete view and a have good reputation are Monkey parks (Snow Monky Park) at a part nearly for two, when the Onsen chimaki and a center go a Kourakukan and a photograph right-hand slope. 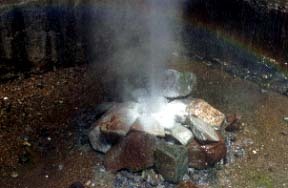 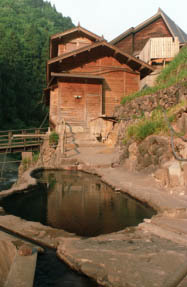 The sprushing hot spring in which a sulfur content deposits white. 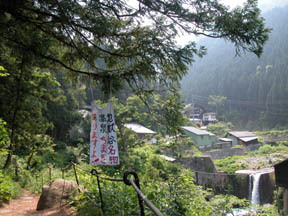 A Kourakukan open bath and one day trip bathing are possible. 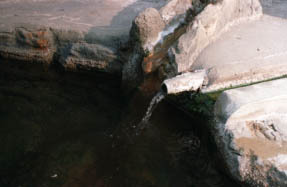 Three souce of springs which gush from a deposit of an open bath pouring gate and the base rock of a river side are supplied, and spring quality also differs little by little.